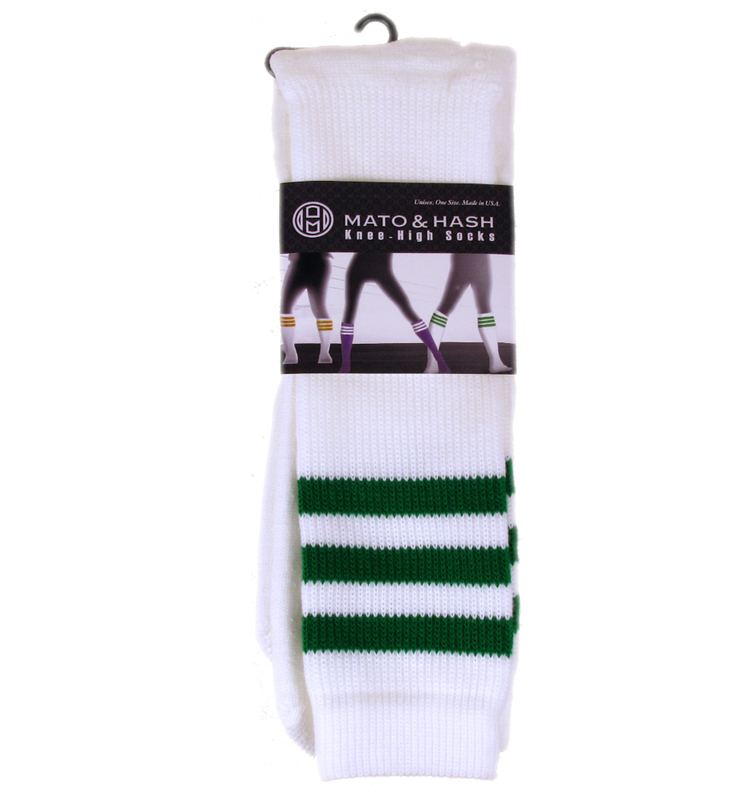 The knee high socks have been a wardrobe staple forever and now you can pick up a pair or two without having to pay big name prices. 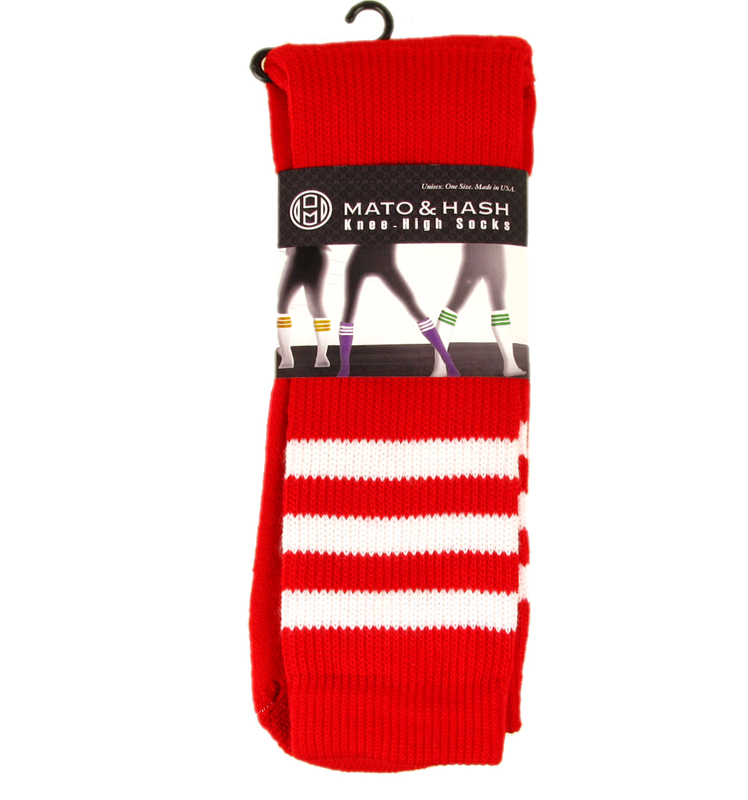 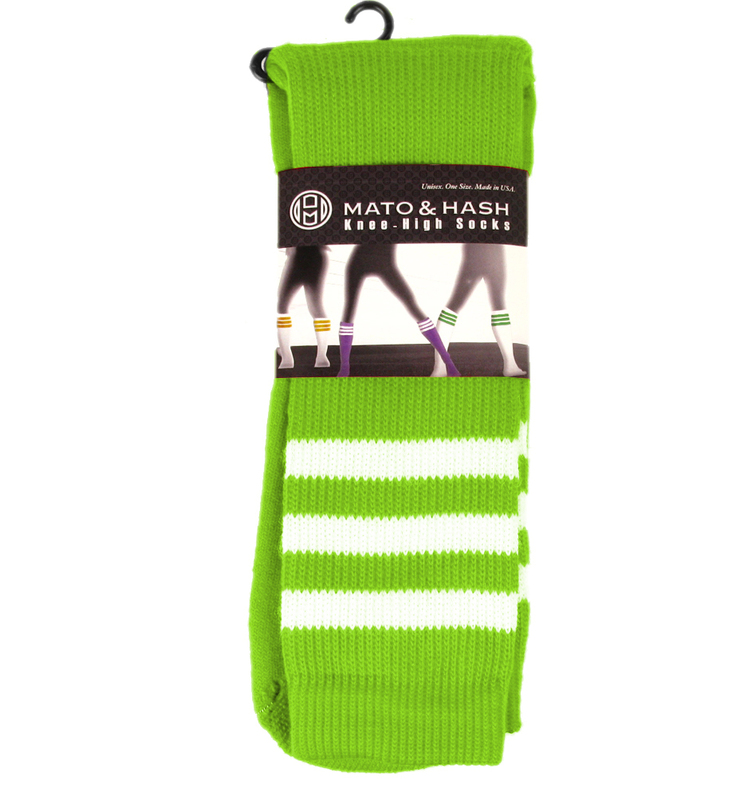 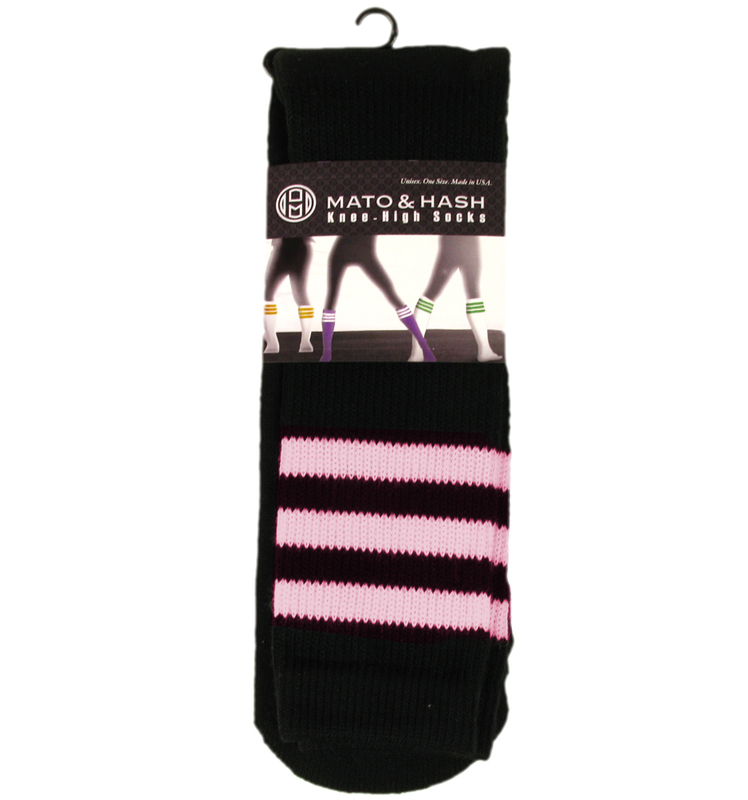 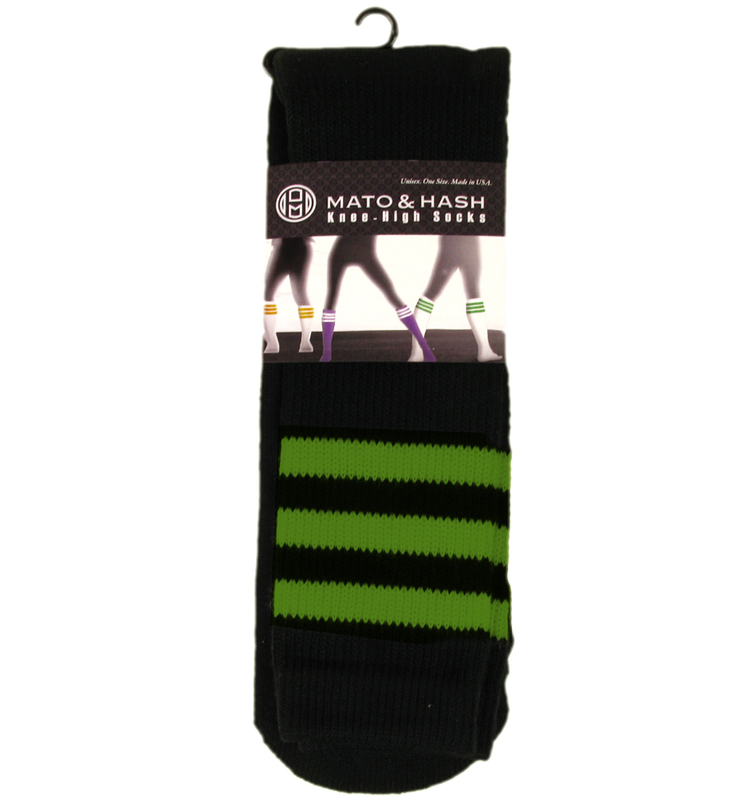 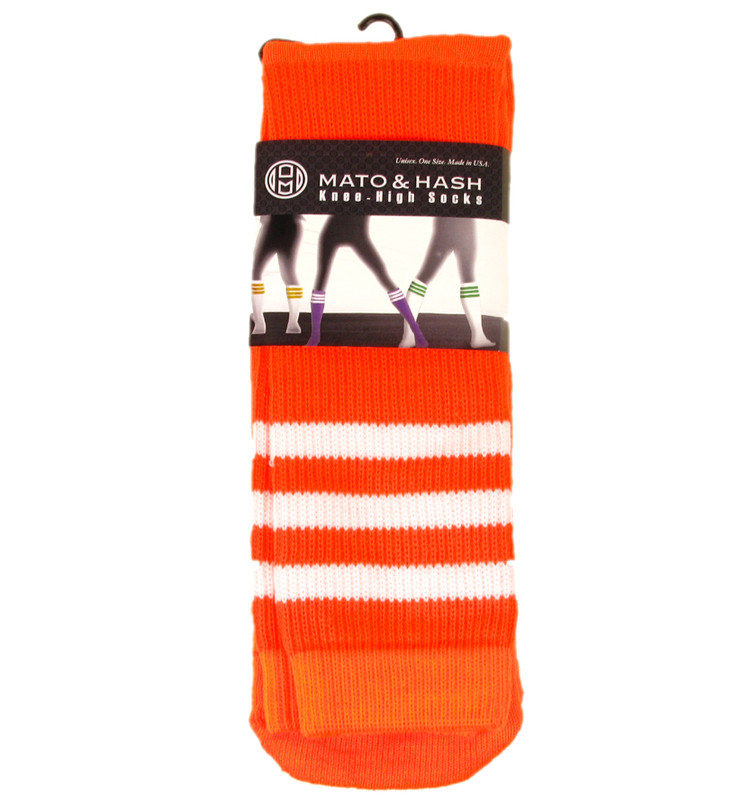 Mato & Hash Knee High Socks give you incredible value while still being the same classic athletic socks you remember. 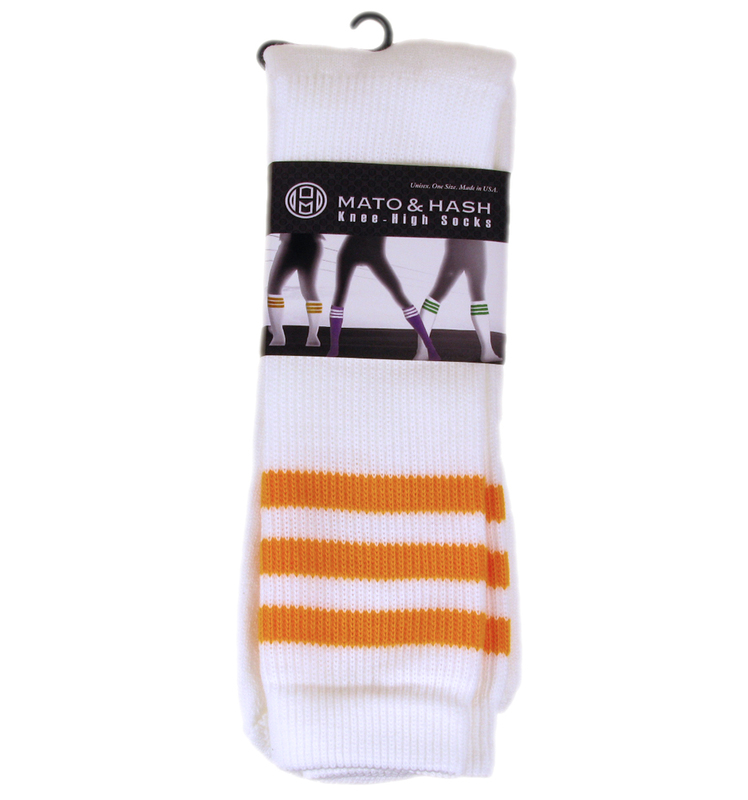 Match with your team/school colors for a sporty look or buy a couple pairs and mix and match. Old school three stripe design and available in a variety of colors gives you the option of matching them with any outfit, any occasion. 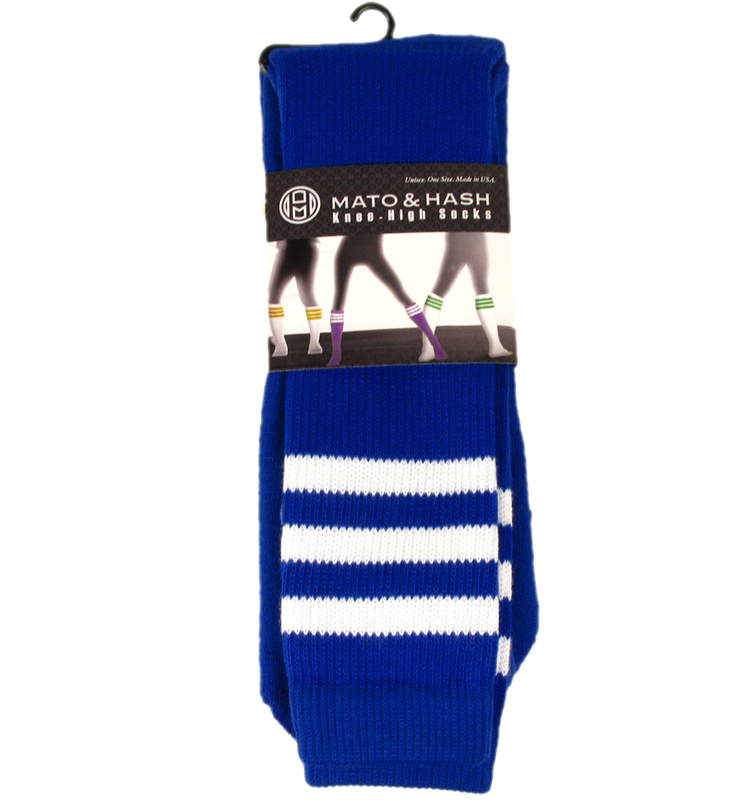 Tube cut for tight, smooth fit. 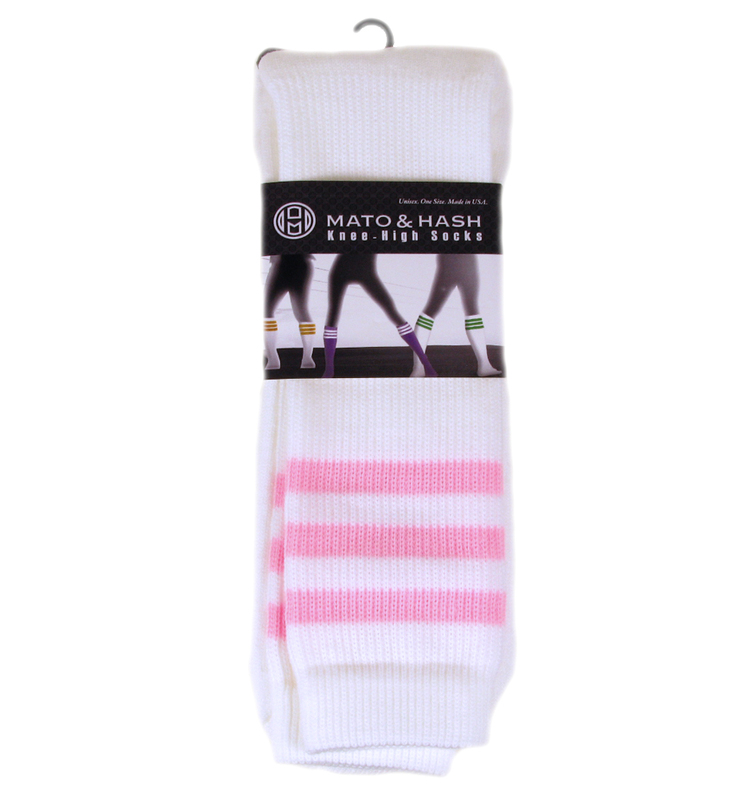 If you're in the market for striped tube socks for women and men, these are for you. Great for sports like soccer and track, school uniforms, or just casual wear.